We are excited to announce $7,500 in free-entry tournament prizing this weekend in celebration of the #GameBattles15 event! We still have more to come! 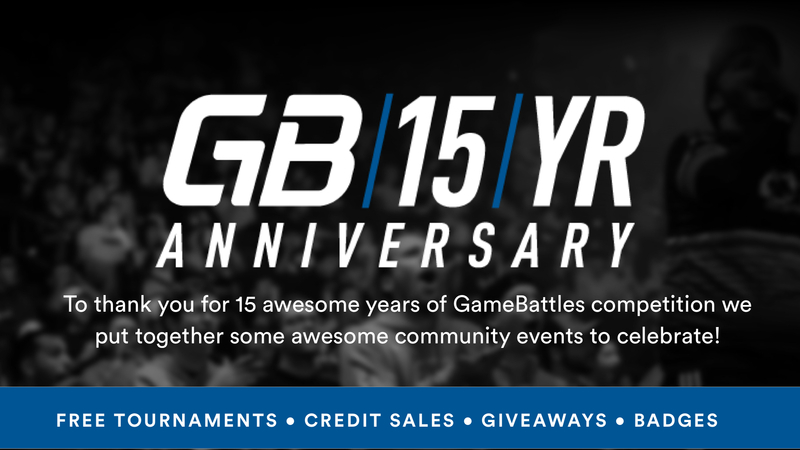 Thank you to everyone who joined us in celebrating GameBattles 15th anniversary! Click the image below to learn more about the #GameBattles15 Anniversary event!